This neighborhood is full of beautiful two-story and ranch style homes. 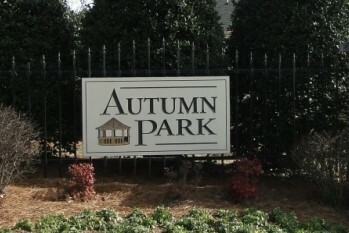 Not only is it an adorable and affordable subdivision, but it is also full of community. With Holly Grove elementary and middle schools a short walk from Autumn Springs, families have the option of walking together to school each day. Located close to all Holly Springs has to offer, you'll always have something to do in this sweet little town!